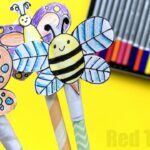 I have shared how to make GIANT bubble wands before, but thought, I would share it with you again.. just in case you missed.. these things do happen. And with the warmer weather heading our way, I would officially like to declare BUBBLE SEASON opened. 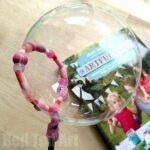 We have a fabulous post full of Bubble Activities for Kids. Before you get stuck into that, we would like to get you Bubble ready – including reminding you of our FAVOURITE easy Bubble Recipe ever – a recipe used by the Bubble Show at the London Science Museum. It really is best and simple! Personally, we find the longer the bubble recipe sits “the better”… so be sure you make a great big batch of it early in the Spring/ Summer season and then enjoy it throughout. And now on to our fun bubbles giant bubble maker! But I digress… today was meant to be about making GIANT BUBBLE WANDS, right? 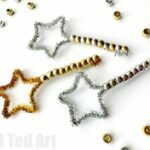 Before we visit the GIANT Bubble Wand (also shared in the video below), I just want to mention that we have some super duper CUTE beaded bubble wands for you to check out. The kids will LOVE them. Both wands will work great with this bubble recipe. Yep, it really is that simple!!! And then practice away and see how many giant bubbles you can make!! We found that the straw giant bubble wand is great for big shallow dishes, whilst the stick one is great for deeper dishes. The kids and I really had fun with the larger Stick Bubble Wands. We preferred the stick method because we didn’t have a big enough dish, plus you get your fingers all soapy! 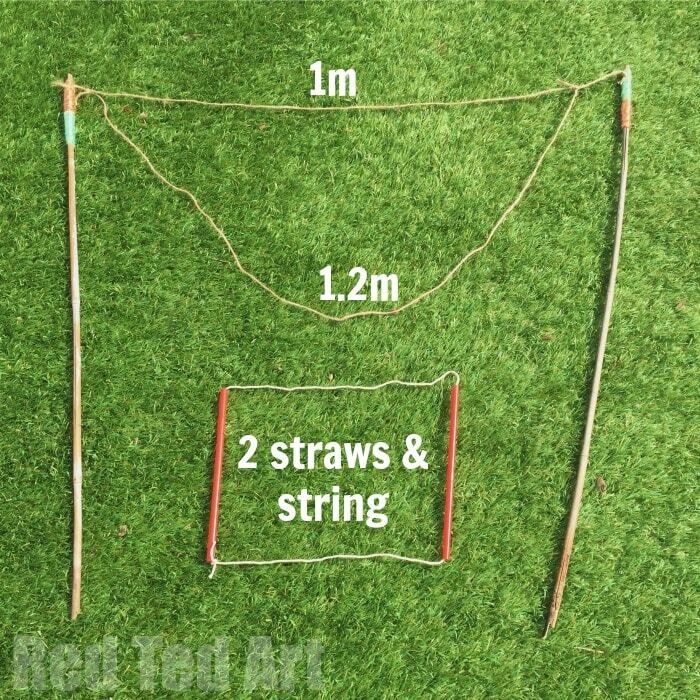 It is great for playing with outdoors – if you are having a summer party or a street party, this is a great way to entertain the kids! Make sure you don’t put out all the DIY Bubble Solution in one go, as someone is BOUND to knock it over. So make sure you “release it in batches”! 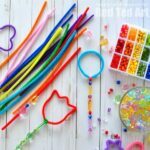 And why not set up a DIY Bubble Wand Making Station? That would be super fun too! 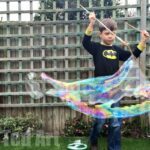 If you like watching video how tos, do check out our how to make bubble solution video.. in includes our Giant Bubble Wand how to, as well as footage of us playing with the bubbles! 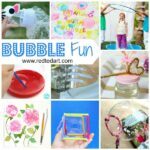 Do have fun with your DIY Bubble Solution!! 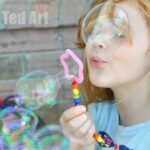 And remember to bookmark this pages, as we will VERY SOON be sharing a whole set of fabulous Bubble Activities with you too – it will contain bubble activities for toddlers, through to bubble activities for first grade and lots of science bubble fun and beyond. 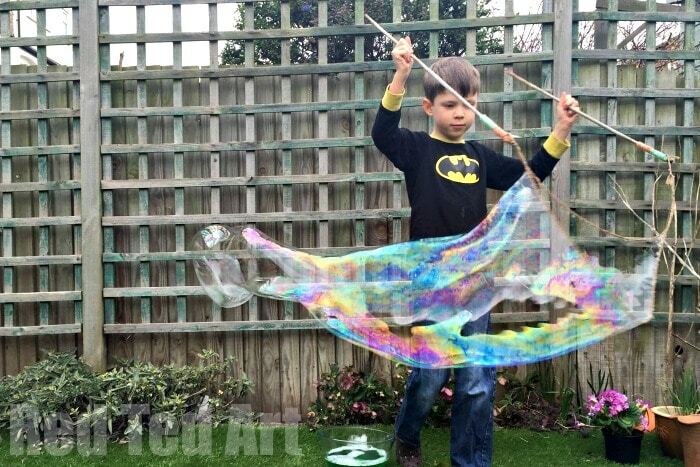 In the meantime make fun bubbles with your giant bubble maker!! That is fantastic. 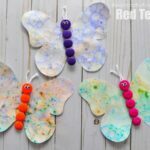 Great fun for kids of all ages.